As a result of these technical breakthroughs and because existing I/M programs have proven to be less effective than desired in detecting critical emissions control system defects which occur during normal road load operation, a more comprehensive OBD system was developed under the direction of CARB. OBD-II, which is implemented over the 1994 through 1996 model years, adds catalyst efficiency monitoring, engine misfire detection, canister purge system monitoring, secondary air system monitoring, and EGR system flow rate monitoring. Additionally, a serial data stream consisting of twenty basic data parameters and diagnostic trouble codes is a required part of the diagnostic system. In addition to the basic required OBD-II data stream, Toyota has an enhanced data stream which consists of approximately 60 additional data words. 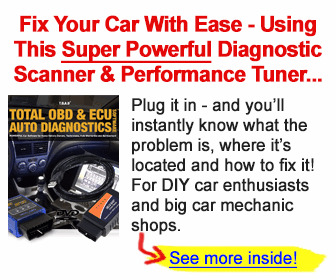 Access to all OBD-II data is made by connecting a generic scan tool to a standardized Data Link Connector (DLC) located under the left side of the instrument panel. 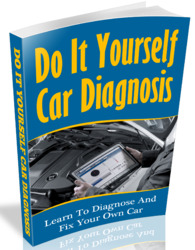 The standards for data, the scan tool, diagnostic test modes, diagnostic trouble codes, and everything related to the introduction of the OBD-II regulation are established by the Society of Automotive Engineers. The goal of the OBD-II regulation is to provide the vehicle with an on-board diagnostic system which is capable of continuously monitoring the efficiency of the emissions control system, and to improve diagnosis and repair efficiency when system failures occur. In essence, an emissions I/M station will be programmed into every OBD-II equipped vehicle.